San Diego's Leading Tree Service Co.
With over 18 years in the San Diego tree care industry, South Coast Tree Service has the experience to handle all your tree needs. Our services covers all facets of tree care including: Pruning, lacing, thinning and crown reduction. We also remove trees, cut firewood, grind stumps and root prune. Courteous and professionally trained owner and staff will help you answer all questions and concerns relating to your specific landscape needs. 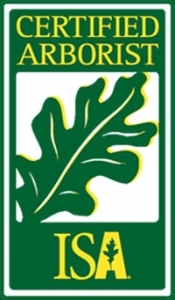 Because South Coast Tree Service maintains the Certified ISA Arborist credential, you may rest assured that your trees will be maintained to all current industry standards and safety practices. The latest in technology is used in our trucks and equipment. Safety practices are excercised in all day to day operations of South Coast Tree Service. We are also members of the Professional Tree Care Association of San Diego. South Coast Tree Service is fully licensed and insured for your protection. We hold $1,000,000 liability insurance, workman’s comp and a current contractors license through the state of California.